Print off pictures of penguins and fish. 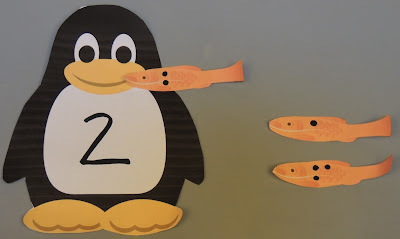 Add numbers to the penguins and dots onto the fish. Encourage children to feed the hungry penguin with the fish with the correct number of dots.